Sometimes a cover comes along and it throws me through a loop. I love this look on Scarlett Johansson created using Dolce & Gabbana. It is all about perfect skin, contrasting colours and is simply divine. There is nothing stopping you heading straight to your nearest Dolce & Gabbana counter and scooping up the whole kit from them, but lets have a go at recreating this look on a bit more of a budget. Scarlett's eyes are emphasised with a teeny tiny whisper of eyeliner along the top lashes, just enough to connect the roots of the lashes defining the shape of her eye. 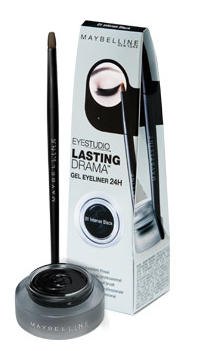 Try this Mabelline gel eyeliner which is around £7.99 ($12.00) that comes with its own brush. Use this technique to apply the product trying to use as little as possible. Add one coat of black mascara and the smallest hint of a line along the outer corners of the lower lashes. 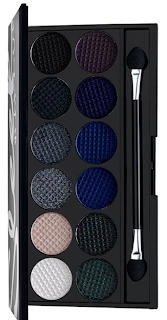 I would be inclined to use an angled brush, and a powder eyeshadow to achieve the soft smudge along the bottom. Try the black in this palette, it is such amazing value at £6.49 ($10.00). Made by a company called Sleek, the pigment in the product is fantastic and the array of colours available are incredible for the price. For your lips you need to find a vibrant, shocking pink, matt lipstick in a shade that suits your skin tone. Apply some colour to the tip of your ring finger and dab lightly on your lips blotting on a tissue as you go, this creates the gorgeous "kissed off" look that Scarlett rocks effortlessly. 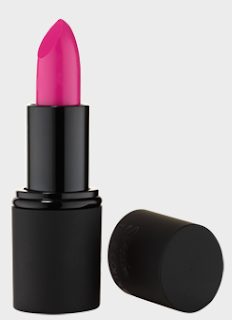 How about this, again from Sleek, priced at a recession busting £4.00 ($6.00) you can experiment with a whole new lipstick wardrobe! This is such a gorgeous look and is well suited to the holiday season. And if you are feeling daring why not go the whole nine yards and have a go with this. 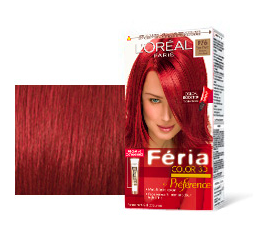 (Try and see beyond the ridiculous CGI hair on the box if you can!). I really preferred Scarlett in redhair than blonde.... She's too mainstream now! Thanks for the tips darling!